Access to CAC is limited to authorized users. All other access is prohibited. CAC accounts terminate when the researcher is no longer an authorized user of CAC. Access credentials are confidential and have to be kept secret. You may not permit any other person, including other authorized CAC users, to access CAC resources through your account. Temporary access by CAC staff for “trouble shooting” is acceptable. Providing false or misleading information to obtain access to CAC resources is a policy violation. Users who violate this policy will be denied access. You are responsible at all times for your actions while using CAC resources. You must conduct yourself in an ethical and legal manner that is consistent with the terms of this policy, University or Institution policies, and any applicable laws in your jurisdiction. You must not harass, intimidate or threaten others. You are responsible for reporting instances of harassment, intimidation or threats. Such conduct violates this policy and may violate the law. 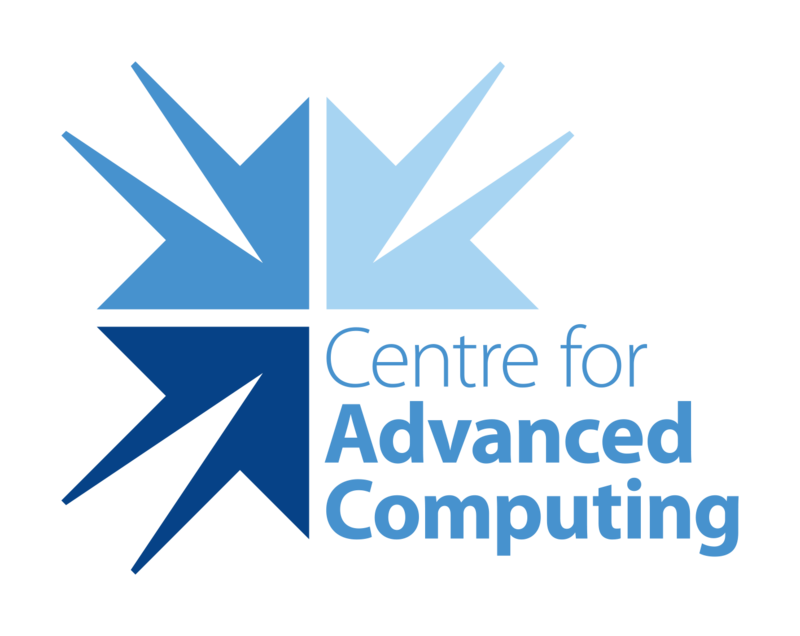 Programs, objects, and information created on CAC are the property of the user, subject to the policies of the user’s University or Institution. Files residing on CAC computers are confidential, whether or not they are accessible by other users. Accounts on CAC resources should not be used for e-mail unless for systems queries and assistance. You must not send proprietary or confidential information to any unauthorized party. CAC has no obligation to monitor, review, inspect, screen, audit or otherwise verify information content passing through CAC’s resources, However, CAC reserves the right to undertake any such activities concerning compliance with this policy. You are responsible for selecting a secure password for your account, and for keeping it secret. You are responsible for protecting your data from reading and/or writing by other users. You must report any security violation, or suspected security violation immediately. You must notify CAC immediately of any use of CAC’s resources that is in violation of this policy. Although CAC’s security efforts are consistent with best practice, we cannot guarantee complete privacy, confidentiality, and security. You agree that CAC shall not be responsible or liable for any damage that the user may suffer in connection with communication of private confidential or sensitive information using CAC’s equipment. Usage of CAC resources in a situation where failure of services or loss of data may predictably lead to harm of others is not acceptable. It is your responsibility to select the appropriate resources to protect personal information and sensitive data. If additional safeguards are required, it is your responsibility to put them in place with CAC’s assistance and support. Resources, such as disk space, CPU cycles and software licenses, are shared. You must not seek to monopolize these resources without explicit authorization. You may not use software that grants unauthorized and/or unprotected access to CAC systems. The ability to read a file does not imply permission to read it. You may not alter a file that does not belong to you without prior permission from the owner. The ability to alter a file does not imply permission to alter it. Deliberate alteration of system-level files not permitted. CAC’s resources may not be used to make unauthorized connections to other systems. The ability to connect to other systems does not imply the right to do so. Software on CAC resources must be original or properly licensed. Licensed software must only be used in a manner consistent with the license terms. If you import software, you are responsible for all consequences that result from its use. You indemnify CAC from all damage, cost, and liability arising from all related acts and omissions. Copyrighted material must not be knowingly imported or exported without permission from the copyright holder. Intentionally making copies of software having a restricted-use license is not permitted. block CAC in its attempts to collect system information or manage its systems.